So this weekend I took the train the the apple store we have in Malmö to finally have a chance to try out the apple pencil. 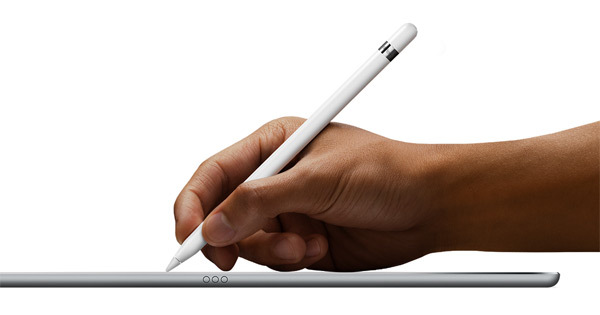 After having read Jonathan Roberts review of the pencil and the ipad pro my expectations where really high. And I must say that my first impression (after 15 minutes of use in the store) is very positive. The pressure sensitivity and precision seems to be on par with my Cintiq I use at home. The only negative thing I felt was that the lag was a bit bigger on the ipad pro then what I get with my Cintiq 13hd. But I assume that was due to that the only demo program they had was photoshop sketch and from what I’ve read the lag should be much less in programs like procreate and paper 53. Still the lag is minor so the program still works fine to use for drawing. So I don’t really see that as a problem. I will definitely pick this up next year when some map money arrives, I can really see how the ipad and pencil will work great as my portable drawing solution to use when I’m travelling. Whenever I get my hands on it I will put up a review here on the blog.